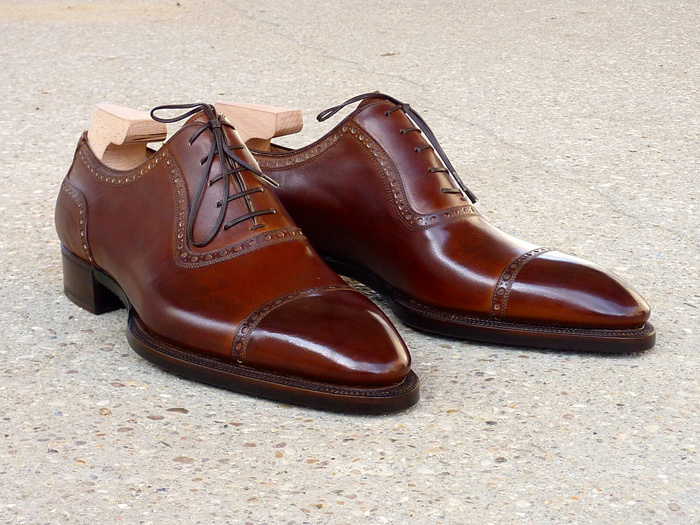 I am very proud to welcome Bestetti shoes in « Made to Order Paris”. 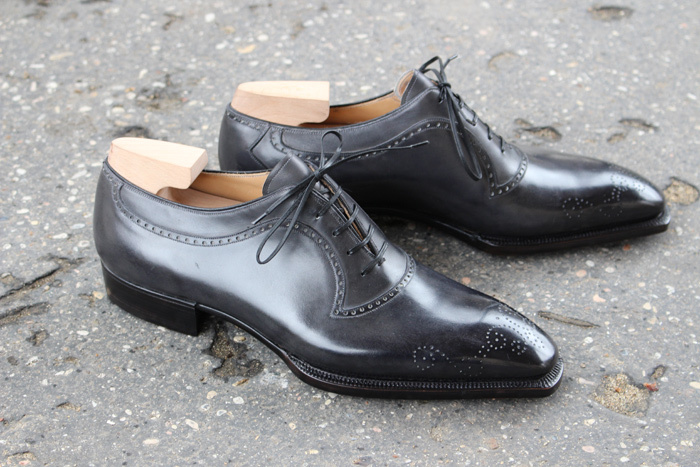 I have decided to work with Riccardo for he is one of the best shoemakers in the world. 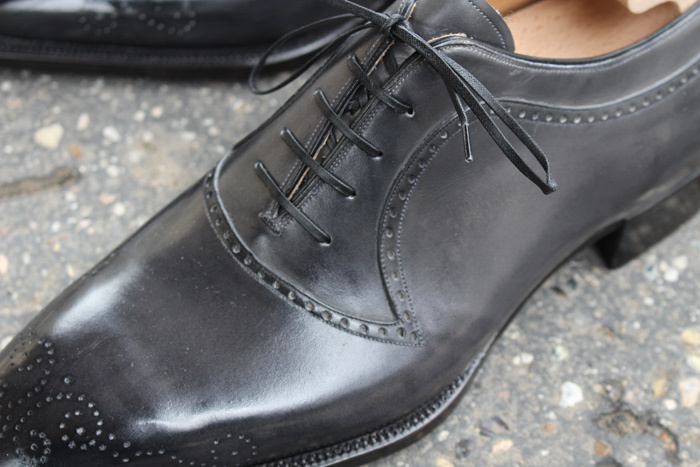 His stylish shoes have a strong identity, while maintaining perfect proportions and an absolutely impeccable fit. His incomparable sense of design, coupled with technical virtuosity left me totally speechless. 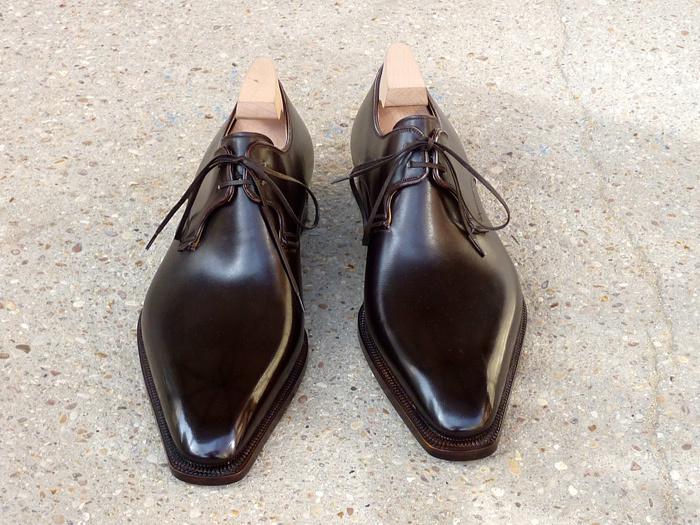 I remember when i took them out of their bags, it felt like they were bespoke shoes. 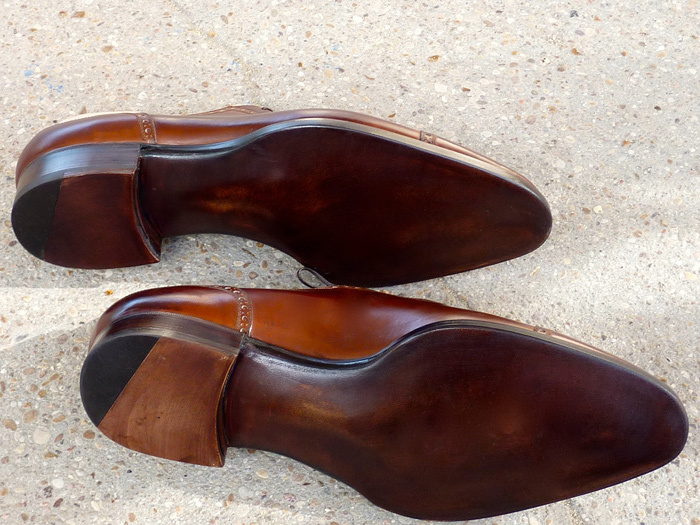 The soles are completely assembled “hand welted”, with a real care for the smallest detail, not to mention their beautiful patina. 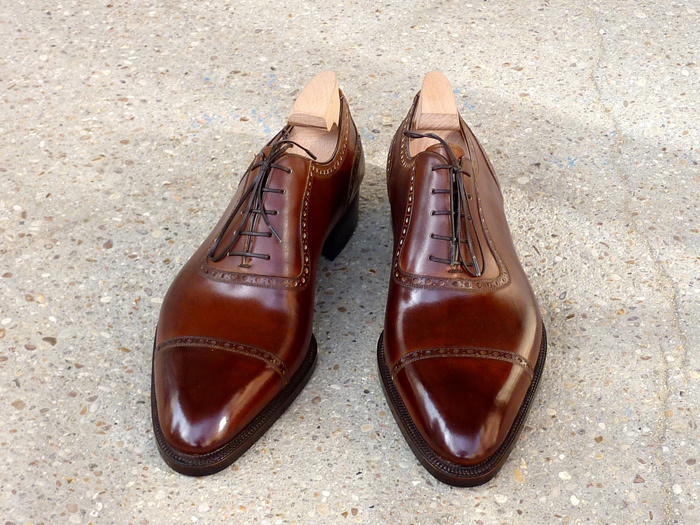 I have decided to have the « Made to Order Paris » collection made in leathers from french tanneries, all patinated by hand in the workshop of “Il Maestro ». Turnaround time for the MTO (Bench made & Novencento line) is approximately 2 months and 4 months. The upper may recall a spider web, with arabesques drawing the facings and running onto the quarters. 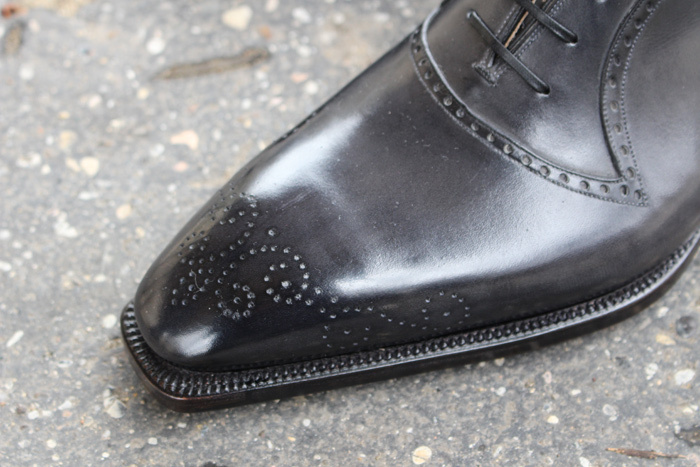 A medallion ornates the toe and emphasizes the plunging shape of the “Perfetta” last. 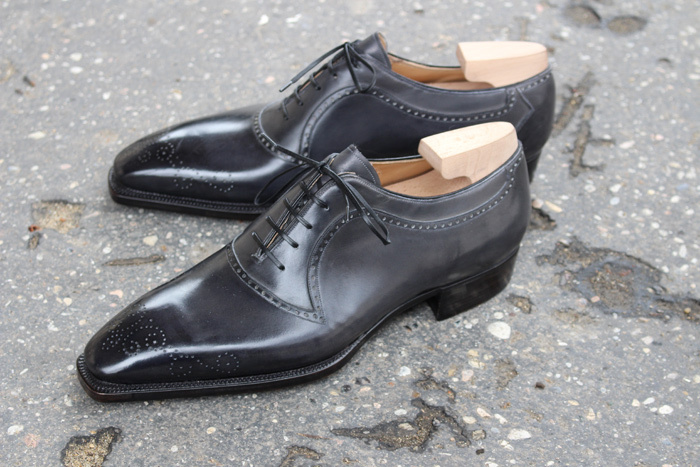 Little nod to the Italian elegance with this two eyelets blucher, which facings (hollowed) are designed with a great originality. To increase the level of technical difficulty, Riccardo have decided to do the upper with a seamless back. 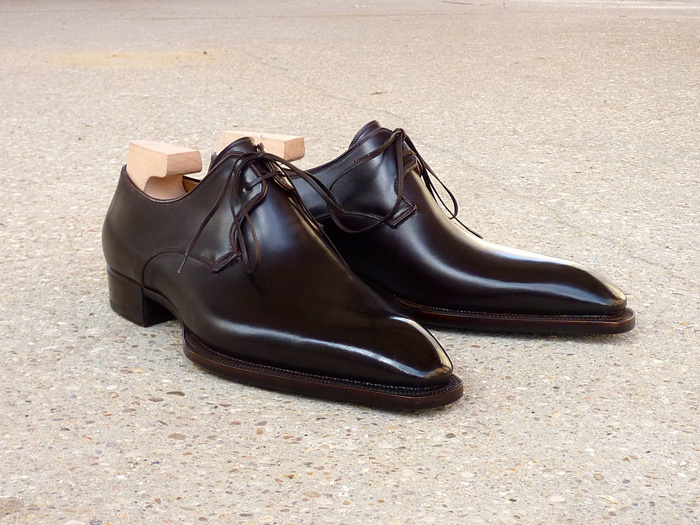 The smooth vamp displays all its glory on the spectacular “Perfetta” last and makes the “Cannes” a terribly modern blucher. The “casual” model of the collection. If you follow me from the beginning of MTO-Paris, you have perhaps realized, that I particularly like boots. 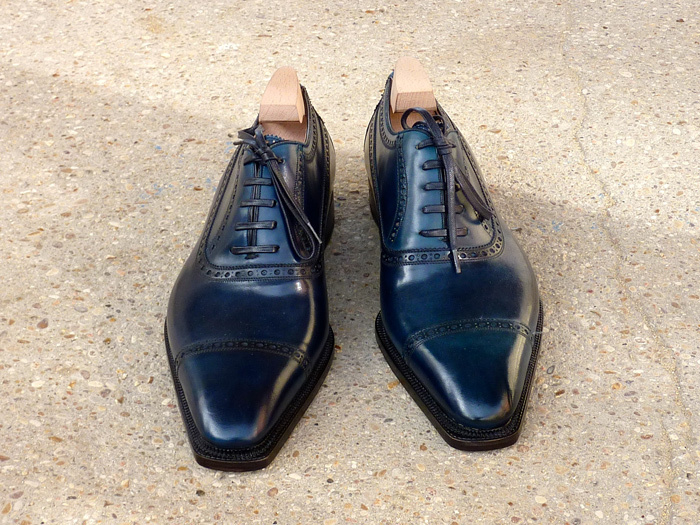 St James has all the attires that make Bestetti, a rising star in the world of high-end shoe: the exceptional quality of materials serving an understated elegance and the finishings same as of bespoke shoes, down to the smallest detail. 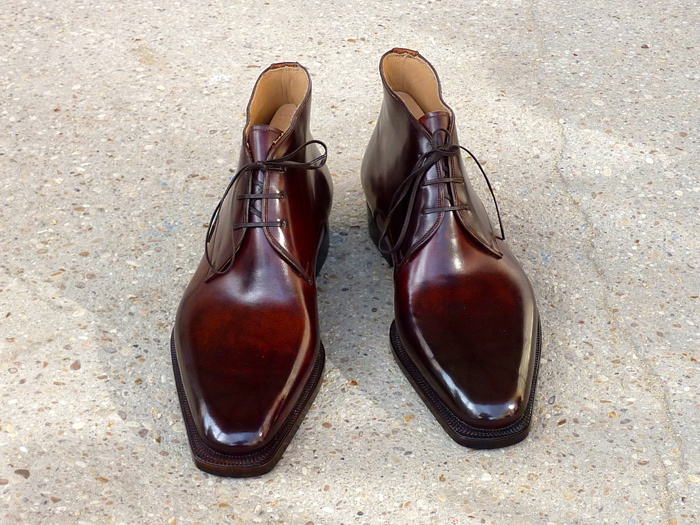 The patina again sublimes the beauty of the French full-grain box calf. The last “Classic Square” is, as its name suggests, slightly square at the front. Less spectacular than the “Perfetta” last but equally desirable. 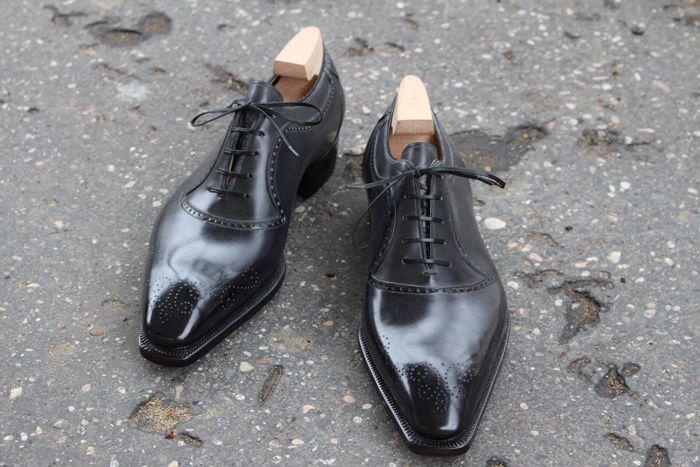 I ll never get tired of balmoral cut oxfords ! The balance of the pattern on the York is absolutely perfect. 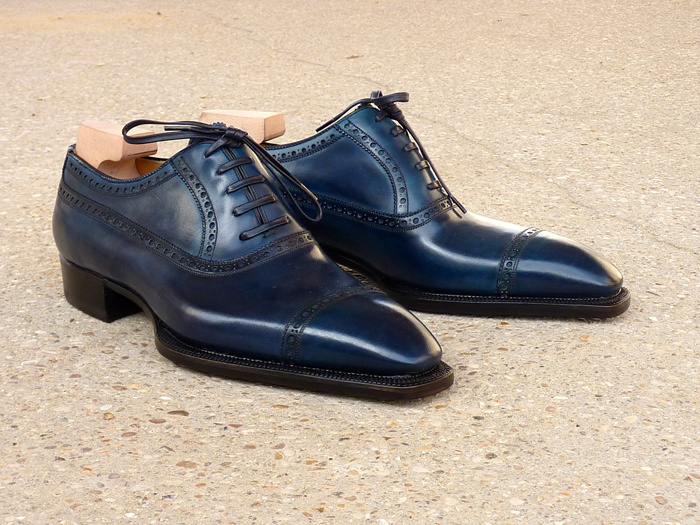 I ‘ve decided to have them made in the “abyss” blue on the “perfetta” last, to show you the depth of Riccardo’s talent. For the first model, I had to make you discover the famous slim and bevelled waist from Bestetti. 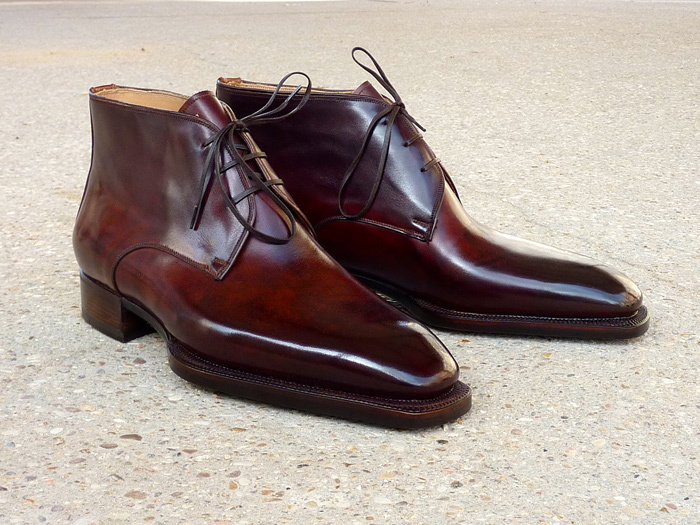 Terribly elegant and timeless, the Maverick is well named. Admire the finesse of its lines, enhanced by discrete perforations. 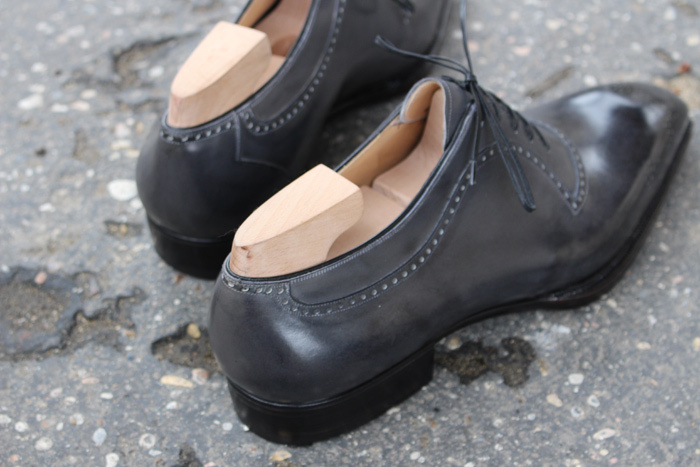 You have between your hands and soon at your feet an irresistible shoe that will pair as well with your tweed jackets as your three-piece suits.